Visit The Works, in Orpington, this Christmas and you will find a fantastic range of Gifts, Toys, Games, Arts & Craft Material and much more, at amazing prices. Please be aware that many lines sell out quickly-so if you want something specific, don't leave it too late. 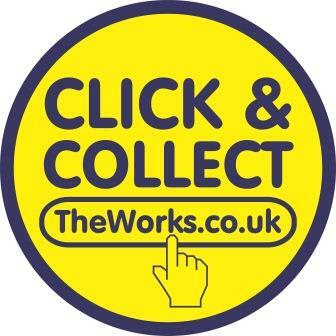 Great news, The Works now offers a Click and Collect service in almost every store. Let The Works take the stress our of shopping this year for Christmas. Visit www.TheWorks.co.uk for a huge selection of products, which you can shop from the comfort of your own home and select Click & Collect to have your shopping delivered to your local store. Sign up to our email updates and receive email updates and get news, exclusive offers and previews of our events and promotions.